The Student's Book without answers contains fresh, updated texts and artwork that provide solid language development, lively class discussion and training in exam skills. The 25 topic-based units include examples from the Cambridge English Corpus to highlight common learner errors and ensuring that students are learning the most up-to-date and useful language required at this level. 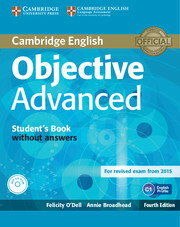 The interactive CD-ROM provides comprehensive extra practice of the language and topics covered in the book. 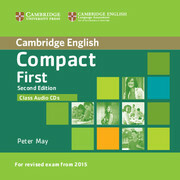 Class Audio CDs containing the recordings for the listening exercises are available separately.